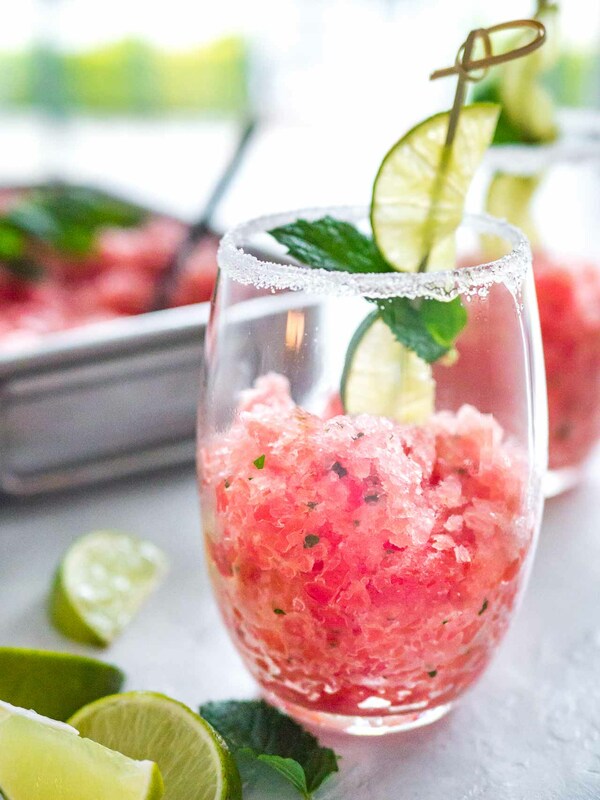 Boozy Watermelon Granita is super refreshing and really easy to make! A perfect semi-frozen treat for hot summer days. 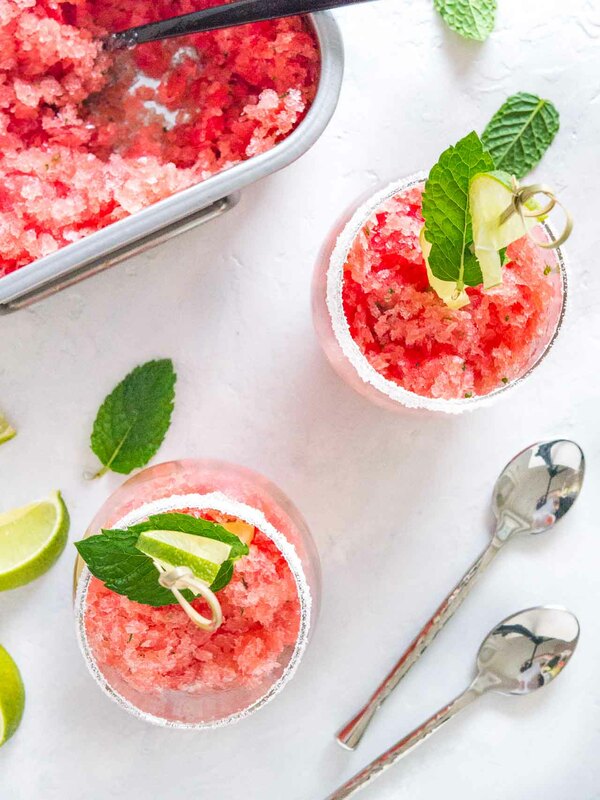 Boozy Watermelon Granita is such a perfect drink for hot days! It’s so tasty and refreshing. A perfect adult slushy that will cool you down on hot summer days. This boozy watermelon slush is made with fresh watermelon juice, white rum, lime, and mint. Last weekend was a really hot one. I’m not the biggest fan of high temperatures because we don’t have air condition. I get quite grumpy and don’t feel like doing anything. The only things which give me a bit of relief are ice cream, cold drinks like my Raspberry Lemonade, cold showers and after 5 o’clock this delicious boozy Watermelon Granita! 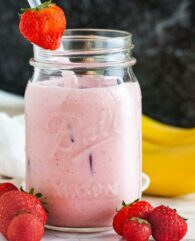 It’s so easy to make and perfect to have in the freezer for hot days like this! You don’t need an ice cream maker, only a fork and you have a delicious cold treat in only a few hours. Granita is originally from Sicily and it’s available all over Italy. It has a more crystalline texture than sorbet and the chunkiness of the granita varies from city to city in Italy. When I was little and we went to Italy in the summertime I always had a hard time deciding if I wanted gelato or granita at the ice cream place. 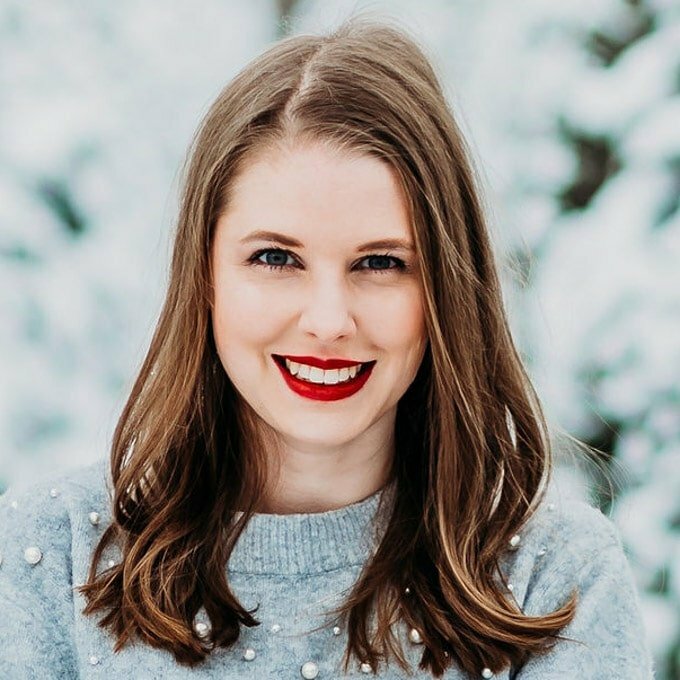 Most of the times I choose granita because it’s so much more refreshing on a hot day and you could get so many different flavors! My favorites were the lemon and watermelon one. Sometimes granita is made in an ice cream maker which results in a finer texture. But the easiest way to make it is to freeze the whole mixture and scrape with a fork through the ice crystals occasionally. 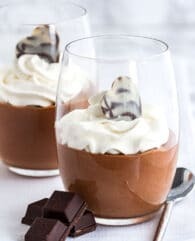 This results in a coarser texture which I prefer because it’s not as messy to serve and you can decide if you want to eat it like a dessert with a spoon or drink it with a straw. My husband loves to add more rum to the granita-filled glass which gets you more of a slush texture. I’m perfectly fine with the amount of alcohol which is already in the granita. 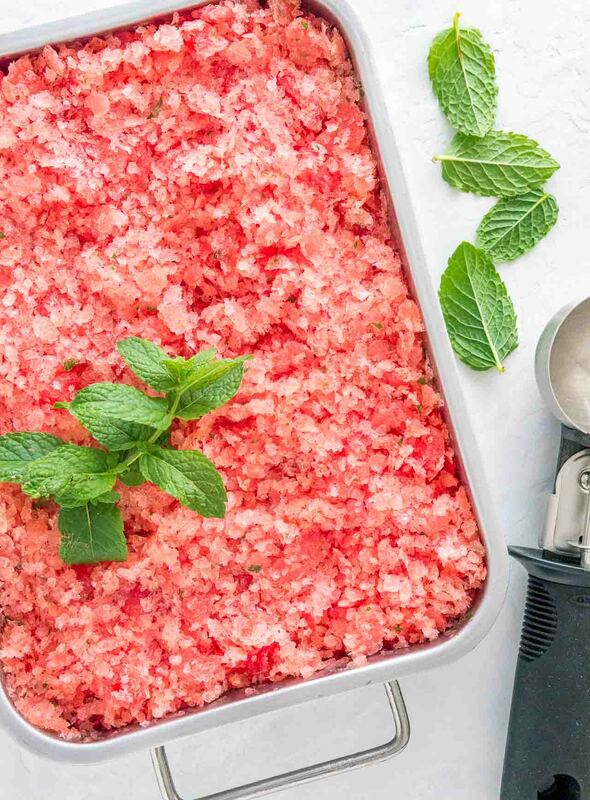 This Watermelon Mojito Granita is made with fresh watermelon juice. Watermelons are one of the great things about summer and they are a perfect fruit to make granita with because you get so much juice out of them. Did you know that watermelons consist of 92% water? I have a hard time finding seedless watermelons so I make my life easier and cut the watermelon into chunks, put them in my food processor and puree them. Then I strain it and add the finely chopped mint, freshly squeezed lime juice, and white rum. This way seeds are not a problem. They get strained out and you don’t end up with black seeds in your granita. Just don’t puree the mixture too much. The watermelon breaks down quite easily. Before adding the simple syrup I taste the mixture to see if it’s already on the sweeter side and add only as much syrup as I want. 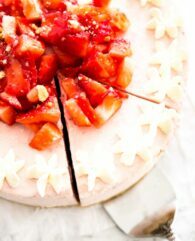 If you have a really ripe watermelon you might not need as much sugar. But you have to keep in mind that frozen treats don’t taste as sweet as the unfrozen mixture. So it’s better to add a little more sweetener than you would normally do. I only added 1/2 cup white rum to the mixture because alcohol doesn’t freeze. 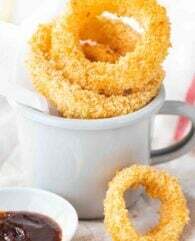 If you would add too much rum you might end up with less then semi-frozen texture. But you can add more rum to it when you serve it! So everyone can decide how much rum they want. Looking for more refreshing summer drinks and desserts? Lightly blend the watermelon chunks in a food processor or blender, then push through a fine sieve to get rid of the seeds. Use a spoon to press out more of the juice. Add the juice of two limes, the white rum, and the finely chopped mint leaves. Taste the mixture to see how sweet it already is and add 1/4 cup to 1/2 cup of simple syrup. 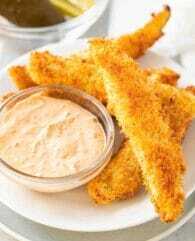 Pour into a metal baking dish or pan and freeze for 3 hours. Then use a fork to break the mixture up until it is quite slushy. 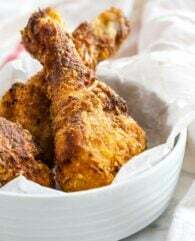 Return to the freezer and repeat this process after 2 hours. Repeat until the mixture is completely frozen and shaved. Serve in chilled glasses. If you like you can add more rum to the granita when serving. If you don't have simple syrup just make your own. Heat up 1 cup water and 1 cup sugar together until the sugar is completely dissolved. Store in an airtight container in the fridge. Don't add more rum to the unfrozen granita mixture. Alcohol doesn't freeze well. 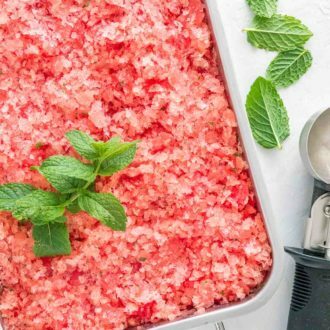 This Watermelon Mojito Granita keeps tasty in the freezer for up to 2 weeks. Just break up the mixture with a fork when you want to serve it. 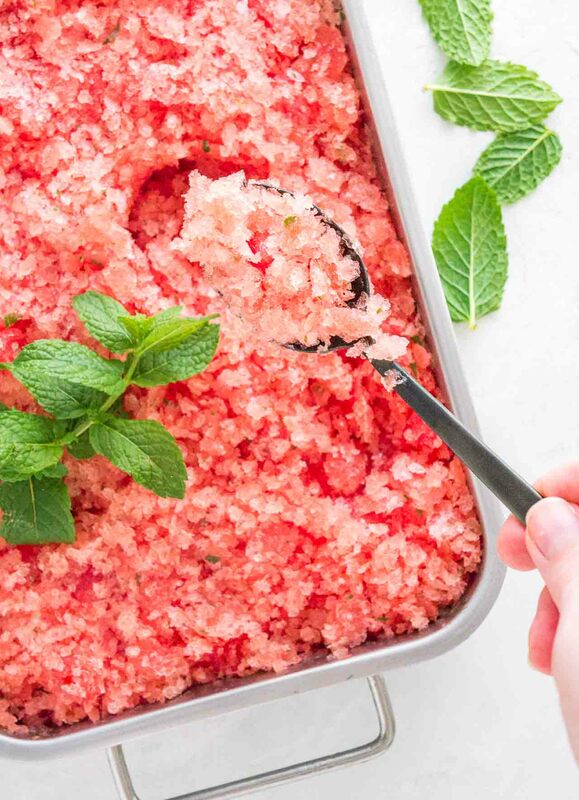 WANT TO TRY THIS BOOZY WATERMELON GRANITA? Oh man I am counting down the days till watermelon is back in NZ so I can give this a go! 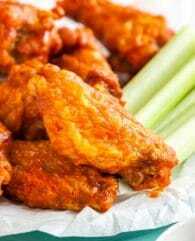 You need to try it, it’s so delicious! love anything watermelon in summer! this looks perfect and so refreshing. definitely feeling for one (and some hot weather) right now!